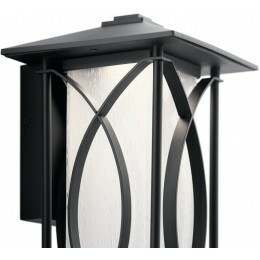 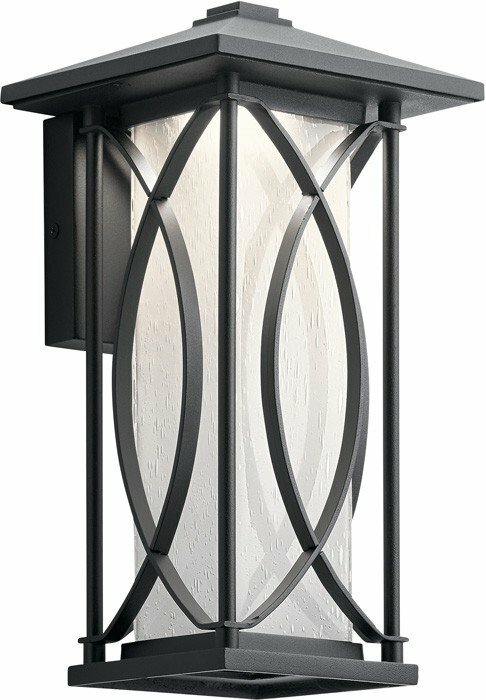 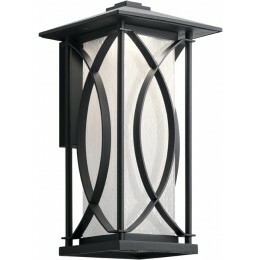 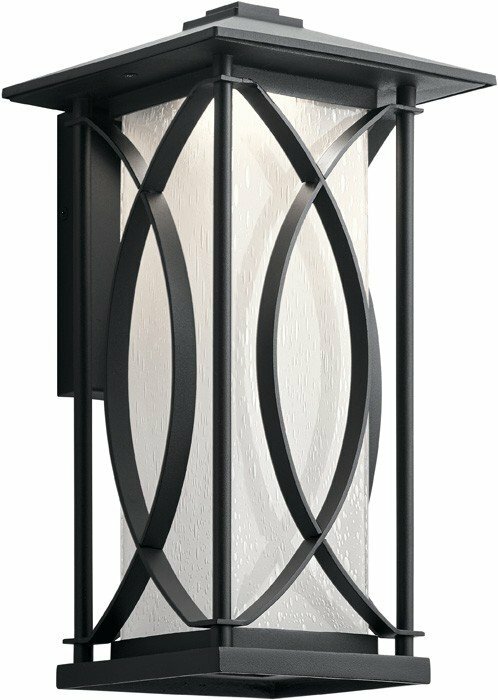 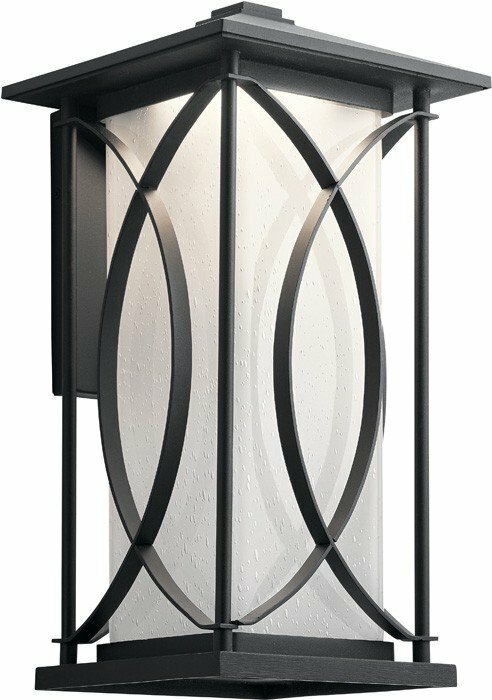 The 12" LED outdoor wall light from the Ashbern collection features a modern Matte Black finish. 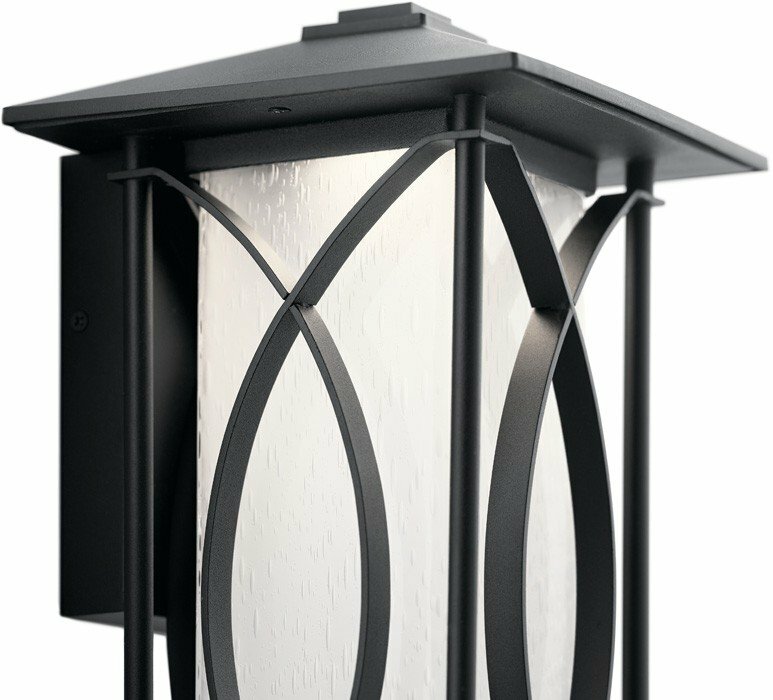 Overlapping arcs create visual interest, and coordinate with a variety of architectural home styles, from traditional to soft modern. 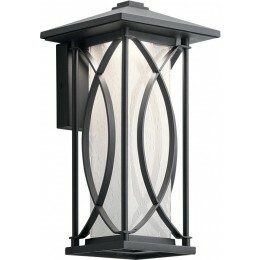 The classic box shape keeps lines clean for maximum curb appeal. Integrated LED assures energy efficient performance for years to come.